BNP on Tuesday strongly denounced the reported gold scam in the central bank's vault, saying it is another sign of plundering by the government. Quoting BNP leader Khandaker Mosharraf Hossain UNB said, "A widely-circulated newspaper ran a report on a strange incident in Bangladesh Bank's vault where there was 963 kg of gold. The gold bars have been turned into mixed metals while the 22 carat gold into 18 carat one in the vault. It's a very disgusting incident." Speaking at a discussion, he said huge money was also stolen from the central bank's reserve earlier. "These are the signs of plundering the country by an autocratic government. We strongly condemn it." Bangladesh Youth Forum arranged the programme at the Jatiya Press Club on the role of the current Election Commission (EC). Mosharraf, a BNP standing committee member, said their party now wants to see what steps the government takes against those involved in the incident. He warned that the government will have to be accountable to people someday if it tries to hush up the gold scam incident like the reserve heist one. The BNP leader said the government is making a blueprint to hold the next election without the participation of BNP and Khaleda Zia. He called upon people of all walks of life to get united to foil the government's all evil designs and ensure its fall through a movement. "We'll wage a strong movement together with people after forging a national unity to unseat the autocratic regime." 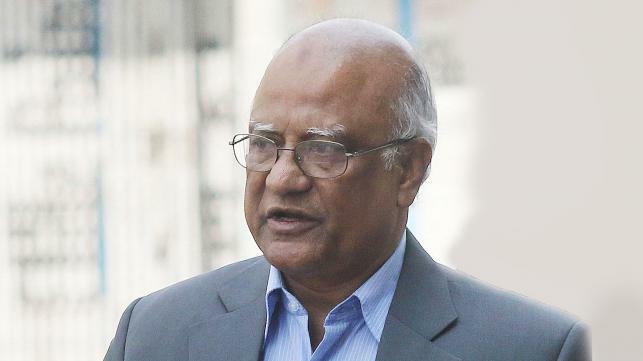 Mosharraf said the current Election Commission helped those rigged votes in the recent polls instead of standing beside voters. "No one believes that this Commission can hold a fair and credible election. It won't be able either to arrange the national election in a fair manner," he added. Mentioning that realising their party's demand for holding a credible election under a non-party administration is a big challenge, the BNP leader urged his party colleagues to take proper preparations to wage a strong movement. "We must put in our best efforts to restore people's voting rights."